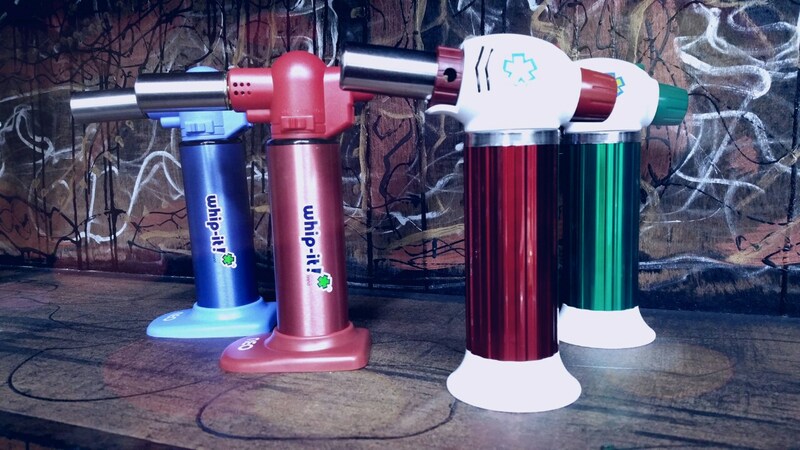 Whip it butane ceramic top & bottom torch. This brand has been in the bussines for some time now. Perfect for dabbing with domeless titanium nails, quartz, ceramic nails, the flame is good on the torch comes with silicon case in case you want to travel with it. Has a 1 year warranty.